The Trump administration on Friday proposed a new rule to prevent some federal funding from going to organizations that provide abortions. An administration official told NBC News the Health and Human Services Department submitted the so-called Hyde amendment to the Office of Management and Budget. The proposed rule change would cut funding to any organization that provides abortions and would drop a mandate that Title X grant recipients discuss abortion as an option with patients. It effectively cuts Title X funding from Planned Parenthood, which offers abortions but says it only uses federal funds for services other than abortion such as contraception, STD testing and wellness checks. Title X is a federal grant program which gives funding to organizations that offer family planning and related health services. "This proposal does not necessarily defund Planned Parenthood, as long as they're willing to disentangle taxpayer funds from abortion as a method of family planning, which is required by the Title X law," a Trump administration official told CNN. "Any grantees that perform, support, or refer for abortion have a choice -- disentangle themselves from abortion or fund their activities with privately raised funds." 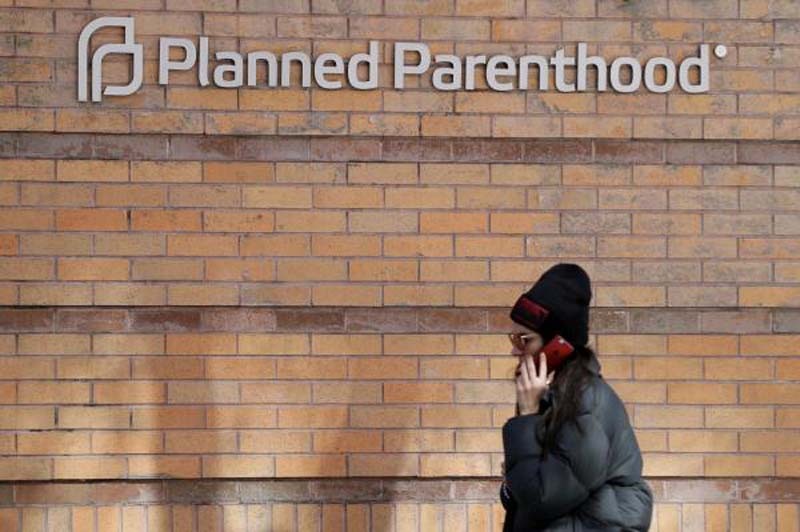 Planned Parenthood described the proposal as a "gag rule." "A gag rule would undo protections that #TitleX patients have had for nearly two decades -- legal protections that healthcare providers cannot withhold information about abortion. This rule eliminates that trust," the organization said on Twitter. Marjorie Dannenfelser, president of the Susan B. Anthony List, an anti-abortion organization, thanked President Donald Trump for "taking action to disentangle taxpayers from the abortion business." "The Protect Life Rule doesn't cut a single dime from family planning. It instead directs tax dollars to Title X centers that do not promote or perform abortions, such as the growing number of community and rural health centers that far outnumber Planned Parenthood facilities," she said. Planned Parenthood also receives federal funds from Medicaid, which would not be affected by the new rule.